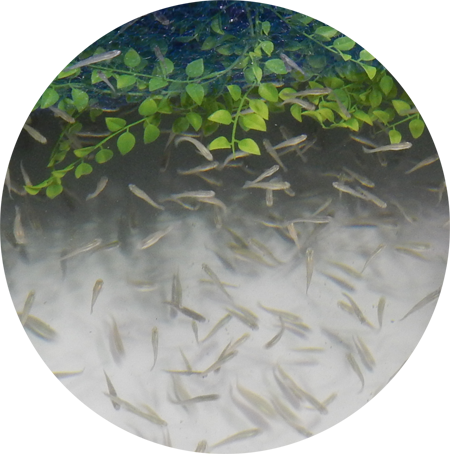 Mosquito control is achieved in persistent water sources from ponds to watering troughs through the use of the mosquitofish, Gambusia affinis. This small relative of the guppy was originally discovered in The Gulf Coast area. Since its discovery in the 1920’s it has been released worldwide for mosquito control to the point that it is now the most widely distributed freshwater fish in the world. Shasta Mosquito and Vector Control District raises mosquito fish, which are given out free of charge to residents within the District for control of the mosquito’s aquatic life stages. Our integrated pest control methods also encourage natural mosquito control by discouraging growth of mosquito larvae while encouraging the survival and proliferation of natural mosquito predators. In addition, the District is always looking for ways to improve our biological control program.